Where did the inspiration for the name "Alpine Ridge" come from? I was born in 1994, on Thanksgiving Day. 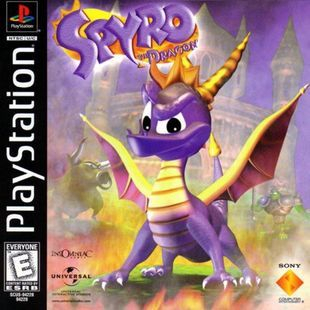 About 4 years later in late 1998, Spyro: The Dragon was released for the Playstation. Despite the incredibly steep price, my father bought Spyro: The Dragon and the Playstation together as a combination pack, officially becoming the first game and console I ever touched. I was 5 at that time. 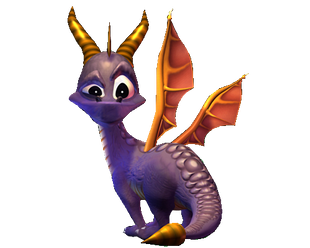 Being the first game I ever had, I just adored that cute purple dragon; I would carry the game everywhere I could and hug the CD case! I would even say that I still do. If you want to call me wierd then please, feel free to do so. Of course, everyone has a favorite level when they play a game, right? Well for me, it was Alpine Ridge. I can't even tell you exactly why it was my favorite because, to be honest: I have no idea myself. For one reason or another, I just loved playing that level over and over again, with Lofty Castle being my second favorite level. What I do know for sure though, is that I wasn't very fond of the theme for Alpine Ridge's level (bottom of page). My favorite song from the game has been, and always will be, the one for Lofty Castle's level. 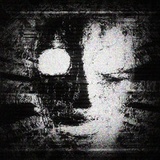 In some way, listening to that song makes me feel happier, like a piece of me is being reborn purely clean again. My brothers think I'm wierd for loving a song from a video game so much, but I can say with confidence that its more than just simply liking the song itself. It holds special meaning to me. All the time I spent with my mother and father as a child. All the times I remember them just dedicating time to play with me. All the times I remember going with my father to work, sitting there with him in his cubicle and using BrainPOP when it was free. All the times I remember my mother taking my brothers and I to go to our grandmother's house for donuts and tea at least once a week while my father was at work. 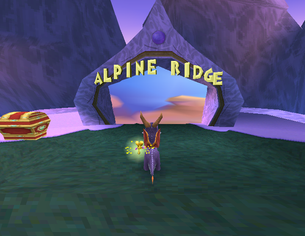 That is the reason, along with the ones listed above, why I chose to name my website Alpine Ridge; To show my passion for Spyro: The Dragon publicly, but also in honor of my parents. Thank you for raising me the way you did. I only have you to thank, and I couldn't have asked for better parents and role models in my life. Thank you for always being by my side no matter what. I hope and pray that I'm the same way with my children as you were with me. I love you more than anything else in this world. "When I grow older, I will realize that my father was right, but my son will think I'm wrong." - Humzah Hashmi, 2008.